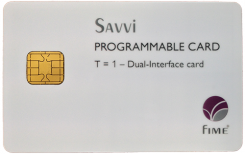 The UnionPay International Softcard library is an optional upgrade for the Savvi Test Platform. The library contains Softcards to conduct functional and integration contact testing to achieve UPI Acquiring Certifications (UAC). The UnionPay International Softcard library is an UnionPay International Qualified Test Tool. It can be used for UnionPay International certification testing of any type of contact terminal, POS and ATM. Softcard libraries are kept up-to-date automatically thanks to the online automatic software update feature available in the tool.